The in door dispenser ice chute flap/cover is broken. 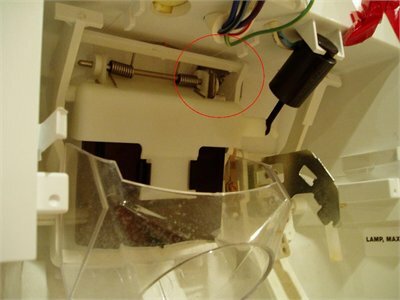 Actually, after disassembly, it is really one of the hinge pin holder tabs that is broken. These "tabs" appear to be part of the dispenser holder housing which appears to be non-orderable. Any ideas or suggestions other than ordering the whole door? Yes Keith, there is a kit to fix this problem instead of ordering the whole freezer door. Jake, thank you. 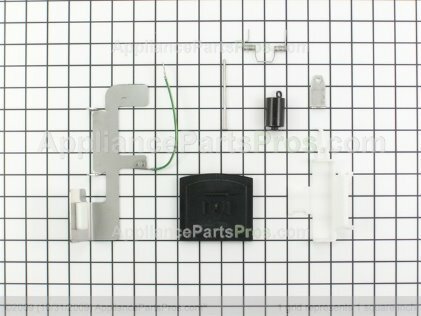 Can you confirm this kit somehow fixes the broken tab on the FREEZER door itself? instead of the tabs on the ice chute door itself? I really can't confirm that, I've never needed to replace one of these kits myself, hopefully another tech. or member can confirm it. I've referenced this part to many members here and non has given any feedback on the contrary. To closeout the thread I was in, the repair Kit I purchased from RepairClinic that Jake recommended worked great. It took me less than an hour from start to finish. No special tools were required. Thanks Repair Clinic and thanks Jake! Excellent Keith, I think your the only person here to confirm that the Kit I've been telling everyone to get has worked. Fantastic, thank you very much for the update. The Whirlpool part#8201756 is the genuine Whirlpool part for this kit, I always advise members to purchase here from the links we post to it directly, as its guaranteed to work or your money back. Can anyone describe the symptoms that lead to the discovery of the broken hingepin or tab? Assuming my unit has the same problem, will this part also apply to model 106.56922600? Also, anyone know the startup and running wattage for model 106.56922600 ? Thanx in advance. And yes that kit will work on your model. I don't know the wattage your refrigerator uses on start-up or running.